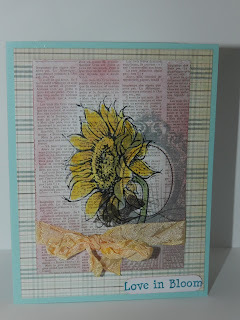 Welcome to the Cardz TV Stamps challenge weekend! The theme is to make a project using the colors pink, blue, yellow, and green only. 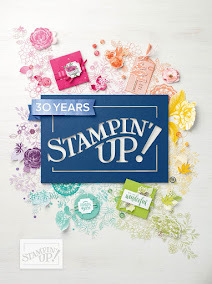 For my card, I used a image that will be release for the May Stamp of the Month at CTMH. I used my ink pads to watercolor the image. 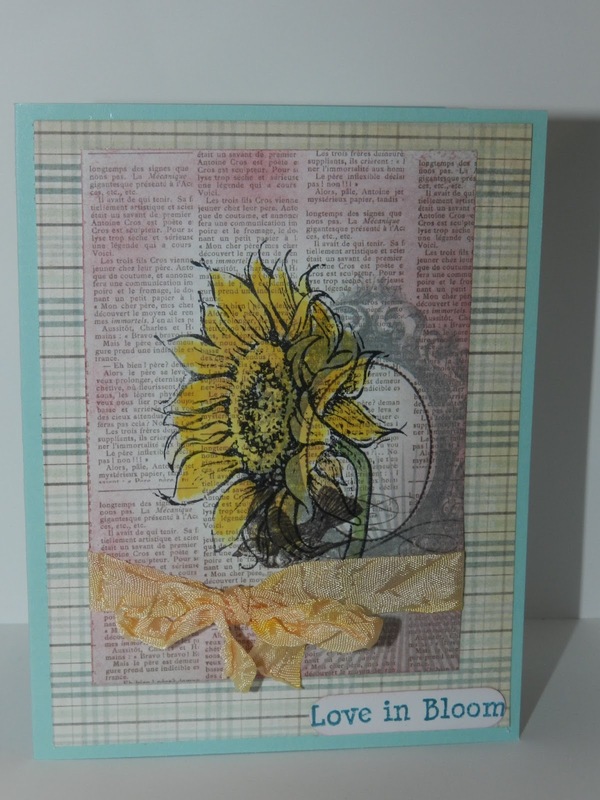 The sunflower was stamped with Staz-on in on a My Mind's Eye Lost and Found collection. I sponged some Blush ink on the pattern paper. I used the color-ready seam binding ribbon to create the crinkle ribbon. 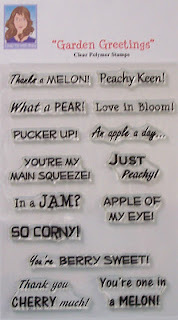 The sentiment is from the Cardz TV Stamps Garden Greeting set. 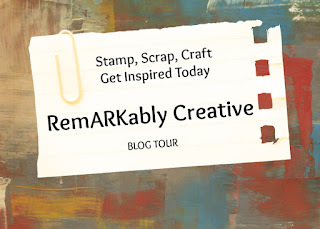 Don't forget to participate in the challenge because Mary is giving away one stmp set of the winner's choice. Click here to play along. Very soft. Love the look of this card. Very nice Candice, love the stamped image over the news print! So beautiful Candice! Love it! I love the stamped image over the newsprint as well. Beautiful!